Is there a sharper, wittier and cooler artist treading the country music boards than Cale Tyson? Fair enough the sample pool of live musicians in the UK is hardly comparable to the excesses of Texas and Tennessee. However If one exists, they have a heck of a marker to surpass in this Nashville based Texan signed to British label Clubhouse Records. Otis Gibbs coined the phrase: ‘there are only two things that matter in art: those who make it and those who receive it; everything else is an artificial filter’. You can be rest assured that standing six feet from Cale Tyson while watching him perform in awe for ninety minutes tonight in Oxford, there was distinctly no artificial filter to be seen. It was raw, real and riveting from start to finish. The live version of Cale Tyson is a major upgrade in 2016 thanks to a three piece band joining him on tour. This is starting from a lofty base of the impression Cale made last year when he toured as a duo with Pete Lindberg. Pete switched to drums on this trip with Andrew Hunt on bass and Brett Resnick, effectively playing lead on pedal steel, making up the quartet. Stellar Austin based pedal steel guitarist Geoff Queen mightily impressed when playing with Hayes Carll last week, but Brett took the twang to another plane with his performance this evening. It was a display of pure emotive bliss. 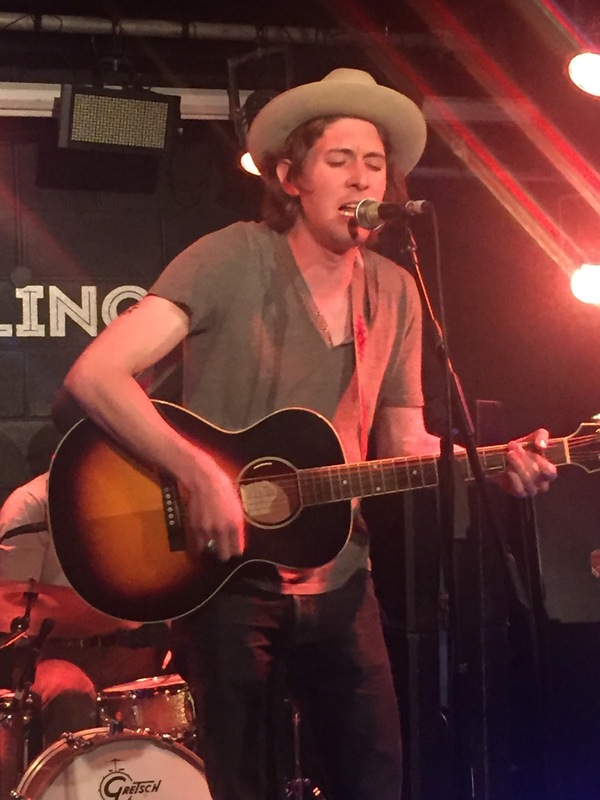 With his sculptured poise, voice born to sing the sad song and an unbelievable depth of lyrical prowess, Cale Tyson is living his destiny and taking a whole bunch of converts with him on this amazing journey. There are endless prefixes and tags to the genre of country music, but Cale literally trashes them all while reclaiming the heart and soul of its purest form. An endearing charisma surrounds his stage persona that grows during the show and crowns the golden stream of outstanding songs that just flow unfiltered from his guitar. Earlier this year what was in effect a debut Cale Tyson album was released and CARELESS SOUL has wooed critics on all levels. Last year’s Clubhouse release was technically an amalgamation of two EPs and material from all his records featured heavily in tonight’s show at The Bullingdon, once again arranged by Empty Rooms Promotions. The sounds spanned the beat and tempo spectrum ranging from the rolling ‘Railroad Blues’ through to a stunning solo performance of ‘Not Missin’ You’ in the first encore slot. The presence of the band rose immensely on the faster songs and presents another opportunity to wax lyrical about Brett’s pedal steel playing. Cale perhaps comes more to the fore on the slower numbers, and the sadder the song gets, the more profound the connection between artist and listener. In a satire drenched ninety minutes, Cale dismissed Andrew and Brett midway through the set to enable his duo role with Pete to be re-united and the execution of a memorable dual performance of ‘Travelling Man’ and ‘Oaxaca’. The first of these is a personal favourite and was thoroughly enjoyed, while the second managed to take the sad song genre to a new depth with its conclusion. On the topic of Cale Tyson tracks which stand head and shoulders above the rest, tonight’s airing of ‘Old Time Blues’ and ‘Somebody Save Me’ were utterly magnificent, paying dividends tenfold of any investment made to support his music. There was plenty to enjoy in the show away from Cale’s recorded material. Andrew was given the opportunity to sing a song after the audience were informed that he is a member of the distinctly named Nashville Western Swing band Johnny Appleseed. Pete also chipped in with a version of the Merle Travis song ‘Nine Pound Hammer’. Brett just let his pedal steel do the talking! Before we transgress from the unrecorded material, ‘Abilene’ took us back to Cale’s Texas roots and the finale version of Micky Newberry’s ‘Why You Been Gone So Long’ closed a super evening on a positive upbeat note with all four band members in full flow. 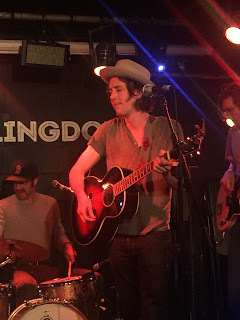 Bringing the Cale Tyson story right up to date revealed a spread of several other songs from the new album including the title track ‘Careless Soul’, ‘Gonna Love a Woman’ and ‘Easy’. Inevitably the horns and brass didn’t cross the pond to replicate the soulful sound on the record and the opening track ‘Staying Kind’ was omitted from this show. Although the focus should be on what Cale and the band did and that beyond doubt was totally awesome. 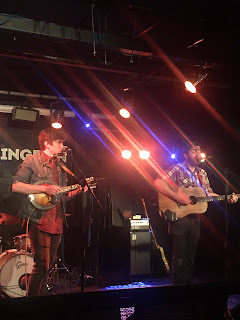 A special mention also needs to be reserved for Oxford based American duo Loud Mountains which played a rather early opening slot due to the venue’s club night curfew. The duo showed plenty of promise with a useful toolkit to share music that can engage all ages. Their final song ‘Lethal Remedy’ was the pick of the originals played in the half hour set and who cannot fail to enjoy a well drilled cover version of Ryan Adams’ ‘Oh My Sweet Carolina’. 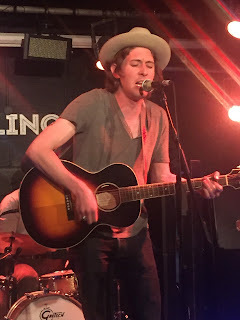 Cale Tyson’s show in Leicester last year was a top five favourite from over ninety gigs attended. How high will the 2016 full band version be when the dust settles? A tough ask with Jason Isbell, Chris Stapleton and the Dixie Chicks already in the books and several other giants looming. Yet this guy has something about him that often words cannot do justice, even the imperfections are utterly stylish. A Cale Tyson gig requires little objectivity, just a slice of your subjective mind. These shameless and bias musings are bound by a genuine honesty. The opportunity to engage is out there and the artificial filter of this piece should merely be a prompt. It’s a decision you won’t regret.